That is pretty impressive, I had a potato that looks like my Mum's face before but nothing this impressive. I'll need to pay more attention to the veggies in my garden this year. I've never seen Jersey Shore but I'll trust that your opinion in accurate! That's hilarious. It looks like a one eyed monster to me.. the stem part being the eye. That is one messed up carrot! Makes me want to rethink my veggie intake and what veggies actually comprise it. Now that's pretty cool. I wonder what it would have grown into if they had left it in the ground? Its some sort of vegetable plot to keep you and Mr Mac from enjoying yourselves... just thinking outside the bedroom door an orange buzz lightyear is saying (over and over) "To infinity and beyond!" which is mathematically impossible. It reminds me of the meatheads who work out in the weights section of my gym and grunt and moan whilst lifting weights twice their size. So....ewwww. He could probably sell it on ebay for a small fortune! That carrot's been "juicing" for sure. How bizarre is that thing? Wonder how much that would go for on ebay? 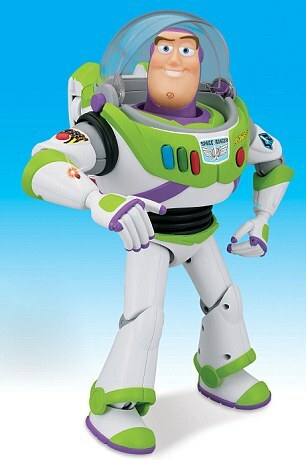 I'll go with the Buzz look alike! Actually I think I can see a photo of the Virgin Mary in it!!!! I saw that picture and had to laugh! Then I read your post and laughed even harder!! We always get some unusual carrots every year too. Some of them cannot be shown on a family blog. Bwhaha. That is too funny! Haha, why don't my carrots ever come out looking that awesome!? I don't know why, but that is the ugliest carrot EVER and repulses me. How odd that something so good for me makes me want to puke by just looking at it. To ranch dip and beyond! wow that carrot looks really strong, too strong i wouldn't dare to eat it..
LOL, it really does look like Buzz. That's one wacked-out carrot. I suspect someone has been a bit heavy-handed with the old fertilizer. To me, it looks like an (unfortunately) healthier version of the Pillsbury Dough Boy. But I might just be projecting. That is amazing. I would have to preserve that carrot somehow and keep it. To infinity and beyond! 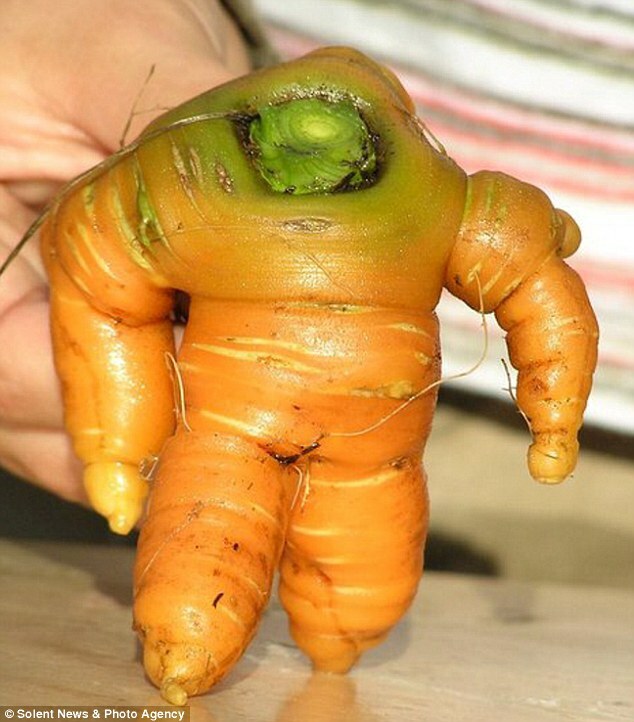 I also see a bit of the Michelin Man in there....that is SOME hunk of carrot!